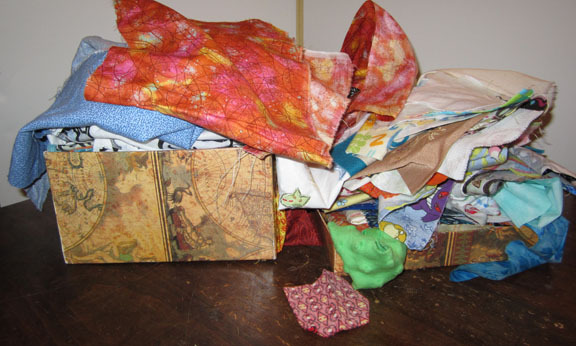 Here's the state of affairs, I have four piles of fabrics: The big box of cotton prints, the small scrap box, the hand dyed stuff, and the pile of selvage edges. 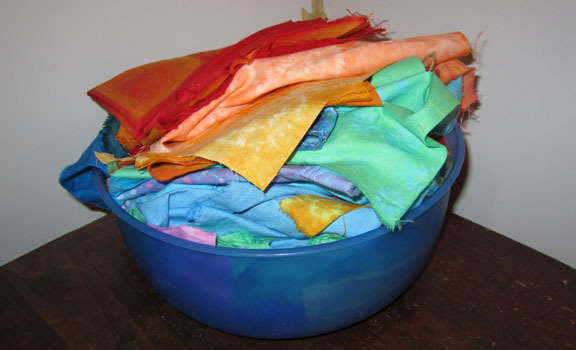 Actually, there are more piles - a pile of felt, a pile of fake fur, a pile of denim, a pile of fabric for dyeing, and a pile of non-cotton and/or non-quilting fabrics... but, for now, let's just focus on the cotton quilting fabrics, right? 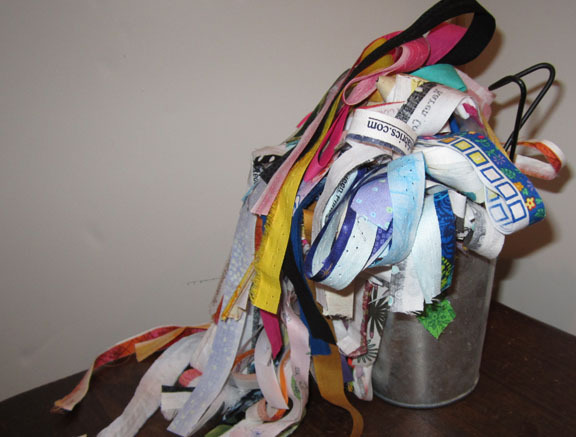 I keep my selvage edges in this bucket! Scraps being anything an 1/8 of a yard or less. and if I dye one more thing... I'll have outgrown this bowl. Who stores things in a bowl? seriously. Except, I've got at least two other bowls employed as long term craft supply storage solutions. and once, this box wasn't overflowing, either. Sigh. 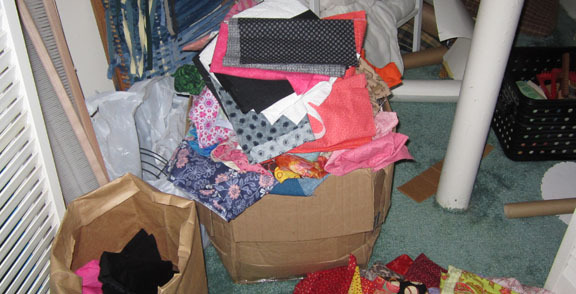 I do have a shelving unit where all this fabric is supposed to go, but that is another story. Anyway. I've taken some steps - I've moved the selvage strips into the scrap box, and the scraps and the hand dyed fabric now live in file boxes by my sewing machine. Though, I'm trying to work out a way to bring them back to the cutting area.... At the very least, I've freed up a bowl!